WARANA is eminently, a unique name that stands as forerunner in the co-operative movement in India. The name WARANA sounds suitable wherever there is a mention of co-operative movement. The uninitiated may be amazed by the way barren land has been converted into a green valley. The green valley with its smiling face welcomes the whole nation for its exemplary services. "Love at first Sight" can be rightly applied to this land of integrated rural development. The beauty of this land makes music which can penetrate and lilt the most inaudible ears and a riot of natural colours to the most unaccustomed eyes and it can even make even the unlettered to construct the duets. The activities in this valley can enliven the most passive. There is no name parallel to WARANA except perhaps the WARANA RIVER, which flows parallel to WARANA. Warana culture has set an example and is making wonders today. A successful name in the consumer services; industries; And A successful name by itself! One of the best managed cooperative sugar factories in the country.The factory was established by Vinay Kore's grandfather Vishwanath (popularly known as Tatyasaheb) in 1955 and it went on steam in 1959. A freedom fighter, Tatyasaheb, was active in public life after independence. He decided to establiscooperative sugar factory in village Warna in Panhala taluka after the recession of 1950 when farmers suffered due to crash in jaggery prices. 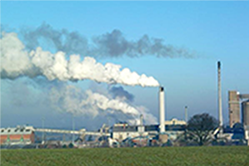 In 1998, the factory's crushing capacity was expanded to 9,000 tonnes and from 2005 to 2009, the factory adopted five sick cooperative sugar units which are now running efficiently. Since 2006, the factory is producing Lignosulphonate from bagasse and bio-diesel from press mud. The factory is also setting up a plant for producing refined sugar which will be sulphur-free. The Shri Tatyasaheb Kore Warana Cooperative Sugar Factory has an impressive record with annual cane crushing of 12.55 lakh tonnes and sugar recovery of 12.63%. The factory in 2006-07 exported 4.72 lakh quintal sugar to 26 different countries which is highest in the country. In the past 50 years, more than 25 different cooperative industries and educational institutes were launched by the Warna group under its umbrella, Warana Vividh Sahakari Udyog and Shikshan Samuh. 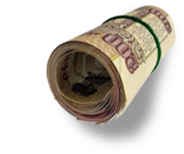 As against an annual turnover of Rs97 lakh in its year of inception, the group's total annual turnover now amounts to Rs2,050.7 crore. It caters to three lakh farmers in 81 villages in the Warana valley. Warana valley owes its revolutionary socio-economic development to the great visionary late Shri V.A. alias Tatyasaheb Kore. 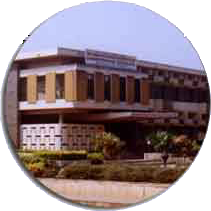 Warana Sahakari Sakhar Karkhana Ltd., established in 1955. Warana Coop Sugar factory provided income source for 10-15% farmers having irrigation facility. To improve economic condition of remaining 85-90% landless labor and small holding farmers the ‘Warana Dairy’ one of the successful co-operative dairy, was established in 1968, with noble purpose of providing an additional income to the farmers from surrounding villages. This revolutionary movement crossed the turnover of Rs 900 crores per annum.The dairy has acquired the ISO 9001-2008 and H.A.C.C.P. food safety certificate. The dairy has most hygienic plant of milk processing with the capacity of 10 lac liters per day. Warana Shrikhand has set a record of highest selling in India. It’s also one of the most popular product in Maharashtra. Along with Warana Shrikhand an indigenous Indian Sweet, Warana Milk Powder, UHT Milk in Tetra Pack. The dairy also produces various Milk and Milk products like Pasteurized Milk, Ghee, Butter, Cheese, Paneer, Chass, Dahi, lassi, ice cream, Packaged Drinking Water and many more. Milk powder is produced in a quantity of 65 metric tons per day, it is exported to gulf countries like Kuwait, Saudi Arabia and Sarah, African countries, Bangaldesh, china. All this stands as a solid proof of warana’s quality. Soon these products will be exported to European countries, US, UK, Russia, South Africa and Bharain etc. Warana Co-operative is a leading name in the field of Milk& Milk Products and fresh fruit purees. Established in 1969, it is situated near Bombay in India and having group turn over of Rs.1000 cr per annum. After the long and successful journey of 35 years, we are proud to be an ISO-9002& HACCP certified group. 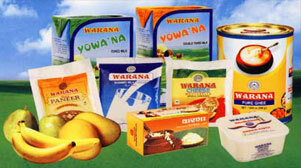 Warana Milk Co-operative is a renowned name in India as well as in Gulf Countries. The co-operative has a processing capacity of 6 lakh liters of Milk per day. Skimmed Milk Powder, Whole Milk Powder, Ghee, Butter, Mixed Fruit Jam, Baby food(Infant Formula), Cheese, Paneer are the main popular products of Warana. Shrikhand(An indigenous sweet made from fresh curd) is most popular product of Warana. Shrikhand is produced in 4 flavors and all are very well accepted in the market. 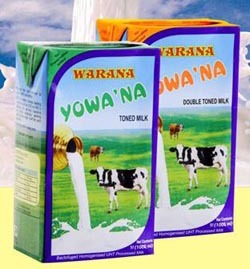 Warana Milk products are marketed in India and Gulf countries. Alphonso and Totapuri Mango purees, Banana& Guava purees are other 100% export oriented products of Warana manufactured under Shree Warana Agricultural Goods Processing Co-operative Society Ltd. In short WAGPCOS is a co-operative society. WAGPCOS is also ISO 9001-2000& HACCP organization. The WAGPCOS has unique PLC controlled automatic continuous processing plant from Cherry Burrell and technical know-how from Chemical and Industrial Engineering Inc USA. WAGPCOS has international standard Laboratory. We have following fruits pulps in aseptic packing(215 Kg) available for sale. 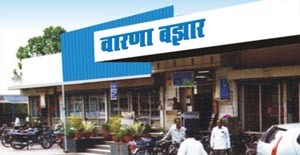 Warana Bazar, the first consumer Co-operative store was founded in the year 1976 and started functioning on 2nd April 1978. Warana Bazar has been accepted as a model stores by all concerned. It has proved to be a successful store in the country. The success of Warana Bazar has inspired the emergence of many more co-operative stores in different parts of Maharashtra, Goa and other States in the country. In the era of globalized economy too, Warana Bazar is achieving heights of success with yearly turnover of Rs. 113 cores, shouldered by 555 employees and Member’s strength of 20111 out of them 80% are women members which is the special feature of this unit. Warana Bazar has 2 big department stores and 55 branches & 3 Franchise. Daily turnover of warana bazaar is more than Rs. 35 lakhs and the society is in surplus since beginning. Warana is a name that distinctively stands ahead in Co-operative Movement and field of Education. It is the name associated to sugar, milk, malted food, paper, banking & consumer stores. Just 50 years ago Warananagar was an area deprived of all advancements, especially, in the field of education. Today one is astonished to see how this barren land is converted into an excruciating industrial & educational complex. It is still a green valley that smilingly welcomes all. The man who had brought about this metamorphosis is late Hon. Shri V. A. alias Tatyasaheb Kore. He sacrificed his personal joys and stood determined to do the best and turned this land, which was once full of dacoits, into a prosperous township, a paradise in true sense. He was born on 17th Oct.1914 as a son of a farmer, in small village Kodoli. Being the eldest in the family, he had to shoulder the family esponsibilities. He actively participated in the Quit India Movement of 1942. He was closely associated to late Shri Yashwantrao Chavan, the former Deputy Prime Minister of India. Late Hon. Shri Tatyasaheb Kore rightly realized the need of providing education to the kit and kin of the farmers in rural area. He established Shree Warana Vibhag Shikshan Mandal, in 1964, since then the Shikshan Mandal took upon itself the need based endeavor of making education accessible to the poor and deserving. With sprawling campus of 100 acres, the Mandal houses Marathi and English Kindergartens, residential High-school, English Academy, Military Academy, Pharmacy College for Degree & Diploma, Jr. and Sr. Colleges of Arts, Commerce and Science, Institute of Engineering and Technology, Industrial Training Institute and well furnished hostels for boys and girls, quarters for teachers and non teaching staff.